One of the questions that has emerged from the U.S. housing crisis is who has the responsibility to pay HOA dues after a foreclosure. While much of the shrapnel for the downturn is now cleaned up, one of the many casualties of the economic downturn has been HOA’s. Many have had to deal with unsold and deteriorating foreclosed properties. In fact, many are still reeling from unpaid assessments and HOA dues. 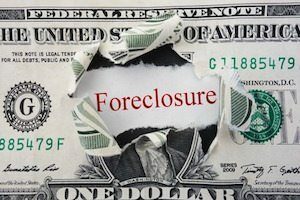 Many have sought relief through the courts from past fees, but who is responsible for these dues after a foreclosure? There is a difference between what should happen and what does happen. What Should Happen with Association Fees after a Foreclosure? While regulations can vary from state to state, most agree the owner of the property handles any dues. That would mean if a bank puts the property in its name upon foreclosure, the bank would be responsible for dues from that point on. When the bank sells the property, it can recover those fees from the new owner. Once the new owner’s name goes onto the deed, they are responsible for any fees thereafter. What Can Happen with Association Fees after a Foreclosure? Banks and mortgage companies would notify the property owner of the foreclosure. The property owner, either voluntarily or through a sheriff’s sale, would vacate the property. The bank would take every necessary step to complete the foreclosure EXCEPT putting the deed in their name. When a buyer enters a contract, the bank transfers the property into its own name. Then upon closing, transfers it to the new owner. This technically limits how long the bank owned the property. How Can the HOA Best Protect Itself in a Foreclosure? The HOA can best protect itself by filing a lien against the property when past HOA fees begin to mount. An association may have little success in getting reimbursed for past dues and assessments from the previous owner. But a lien can help ensure recovery upon the transfer of the property. At Ardent Residential, our professional property management team avoids these issues by staying on top of HOA fees and assessments and by providing professional, timely collection procedures. When it comes to who handles HOA dues after a foreclosure, your HOA should not end up standing there holding the bag. We work diligently to protect the interests of our HOA clients through our experience in both real estate and property management. Let our efficient and innovative property management services go to work for you. Learn more about how our team at Ardent Residential can offer the support you need by calling us today at 844-9-ARDENT.